Back in print for the first time in years! 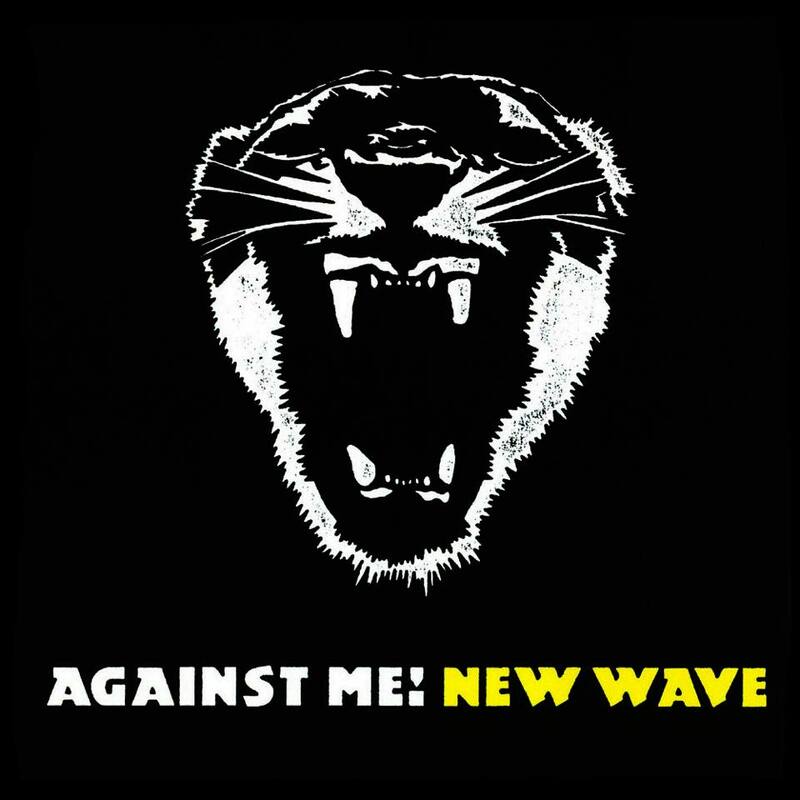 Against Me!’s major label debut “New Wave” on split black/yellow vinyl, and a special limited edition red edition available with a tshirt to benefit http://www.translifeline.org. Record Store Day 2015 Releases Announced! 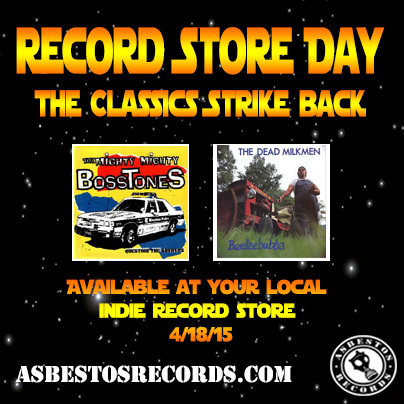 Available Exclusively in your favorite indie record store for Record Store Day ’15!!! What might be the genre defining ska-core record, Question the Answers by the Mighty Mighty Bosstones, and the album that spawned one of the single best punk rock love songs of all time – Punk Rock Girl, The Dead Milkmen’s Beelzebubba. Both available on vinyl for the first time in like 20+ years… and as with all of our RSD releases, 100 randomly inserted special color variants available! HAPPY HUNTING! Record Store Day : BLACK FRIDAY!!! & more! 3 truly classic punk releases available on colored vinyl for the first time ever (and back on vinyl for the first time in 25 years!!!) Each record will have a randomly distributed & unmarked special color hidden amongst the normal copies.. happy hunting!! 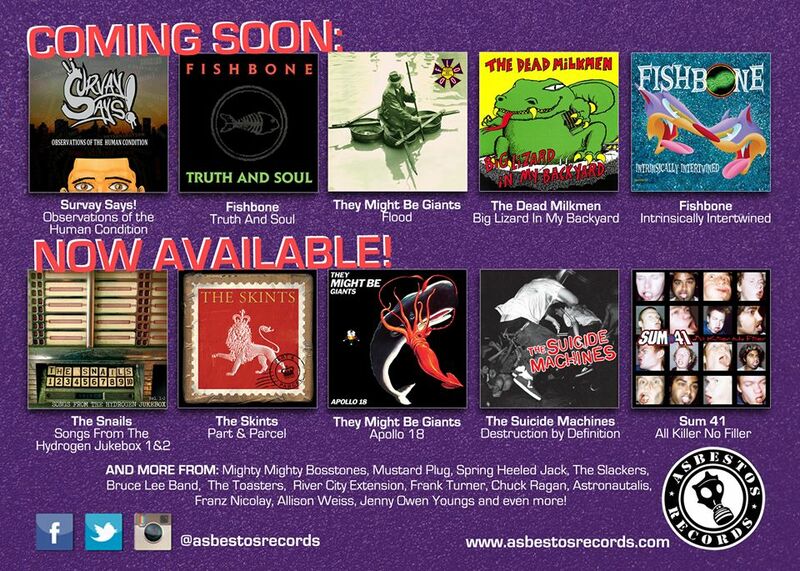 and as always… these will only be available at your favorite independent record stores! and tons more in the works!!!! Sorry we’ve been so busy…..
Ok we have so much stuff in the works right now! So much in fact we’ve been horrible at updating this website. and some other special projects that are in the early stages… stay tuned! Survay Says! new album! and a tour with Reel Big Fish! NJ’s pop punk/ska upstarts Survay Says! will hit the road for the rest of the year in support of their new album “Observations of the Human Condition” and will spend the summer on the road with 90’s ska giants Reel Big Fish, and followed up with a return trip to Fest in Gainesville! grab your copy of the cd now in our webstore! Highlites include: Stubborn All Stars 20th Anniversary Reunion (members of the Slackers, Skinnerbox, etc), Big D & The Kids Table performing with BOTH original singers and performing all of Good Luck!, The Toasters w/ former members Coolie, Sledge, Tim & more!…. as well as super rare east coast shows by Slow Gherkin, Dan P & the Bricks, and reunions from our old friends Jiker, I voted for Kodos, Johnny Too Bad, and High School Football Heroes!! Now Shipping! The second volume of our Double Exposure series, featuring two of our favorite performers. You have probably seen Jenny perfoming on the Revival Tour, or heard her songs on the Showtime show WEEDS, and we’ve been in love with Allison’s work since we saw her cover a BTMI! track on youtube a few years ago… and she was totally one of the best acts on this years Warped Tour. Both artists are covering tracks from the indie rock giants Magnetic Fields. If you act fast you can still score one of the limited Black copies of the record in our webstore!